This topic has 10 voices, contains 80 replies, and was last updated by Dave 16 days ago. Covers, covers everywhere – this month “Dave & Dave Unchained – A Van Halen Podcast” analyzes all of Van Halen’s cover art and interviews artist Margo Nahas, who created the cover for the band’s “1984″ album. Additionally, the Daves welcome back singer Mitch Malloy – the man who was hired in 1996 to replace Sammy Hagar before Gary Cherone. Malloy official released a single on iTunes called “It’s the Right Time” which features VH and even leaked a rehearsal tape of him singing, “Why Can’t This Be Love?” with the band from his audition. News topics are also covered from Eddie Van Halen appearing on CNN to Sammy Hagar telling Billboard about his conditions for a future VH reunion. We are less than one week away from turning The Nutty Irishman in Farmingdale, NY into Madison Square Garden at “Van Halen Bash” on April 1st at 8 pm. 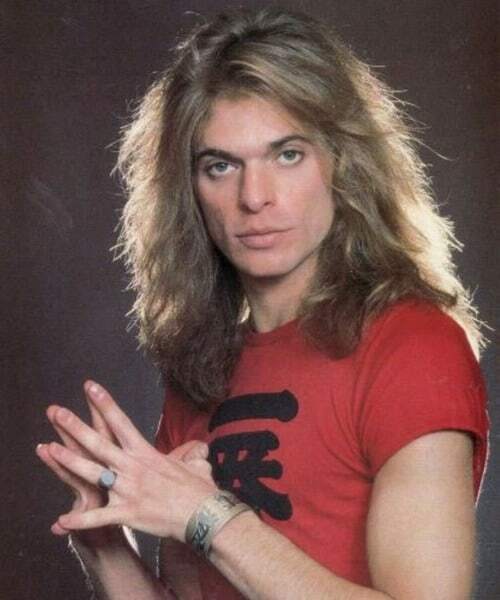 Come on down as “Dave & Dave Unchained – A Van Halen Podcast” celebrates its first anniversary with a night of old school David Lee Roth-era VH music. 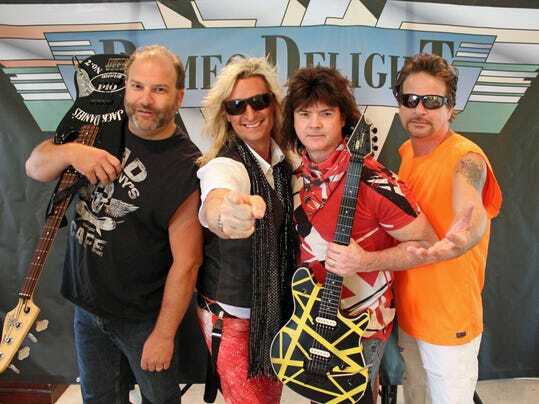 The evening will feature two full sets by the ultimate VH tribute band, Romeo Delight, who will perform “Van Halen I” and “1984” in their entirety plus more hits from the band’s early catalog and maybe some surprises. Additionally, the Daves will be podcasting live from the venue speaking with fans and members of the band for a special anniversary broadcast that will come out later in the month. Van Halen-themed giveaways and unique VH raffles (free raffle ticket with entry) will round out the evening along with 26 craft beers on tap and a full menu of gourmet pub grub to keep your belly full. The Nutty Irishman is located at 323 Main Street in Farmingdale, Long Island, NY. Tickets are $10 (includes a raffle ticket) and can be purchased at https://www.showclix.com/event/van-halen-bash . I’m going. Looking forward to seeing some fellow VH fans & celebrate the music! Dave: I’m going. Looking forward to seeing some fellow VH fans & celebrate the music! Quite enjoyed meeting the Dave’s, I’m sure we could have talked for hours. Romeo Delight was quite good. Cool to hear those two albums in LP order, and some rarely played stuff. I’ve got some photos and some video to look through. I’ll post if anything is any good. It was very loud. ron: Quite enjoyed meeting the Dave’s, I’m sure we could have talked for hours.Romeo Delight was quite good.Cool to hear those two albums in LP order, and some rarely played stuff.I’ve got some photos and some video to look through.I’ll post if anything is any good.It was very loud. What’s that, Ron? I still can’t hear anything! It was very nice to meet you at last. You don’t look anything like your vhtrading picture. A big thanks to you & everyone who came out to see Romeo Delight. A new tradition is born – “VAN HALEN BASH” celebrating the first anniversary of “Dave & Dave Unchained – A Van Halen Podcast” was held at the Nutty Irishman in Farmingdale, Long Island, NY featuring Romeo Delight – “The Ultimate Van Halen Tribute Band.” Episode #13 covers it all making you feel like you were there. What a night! The festivities began in the band’s hotel where the Daves interviewed them and lead singer Buddy Blanchard and guitarist Mike Beck broke out into an acoustic jam. The party then continued at the venue where the duo interviewed fans and held some VH raffles. Meanwhile the band performed two sets featuring “Van Halen I” and “1984” in their entirety plus some deep album cuts. A little VH news is thrown in for good measure! 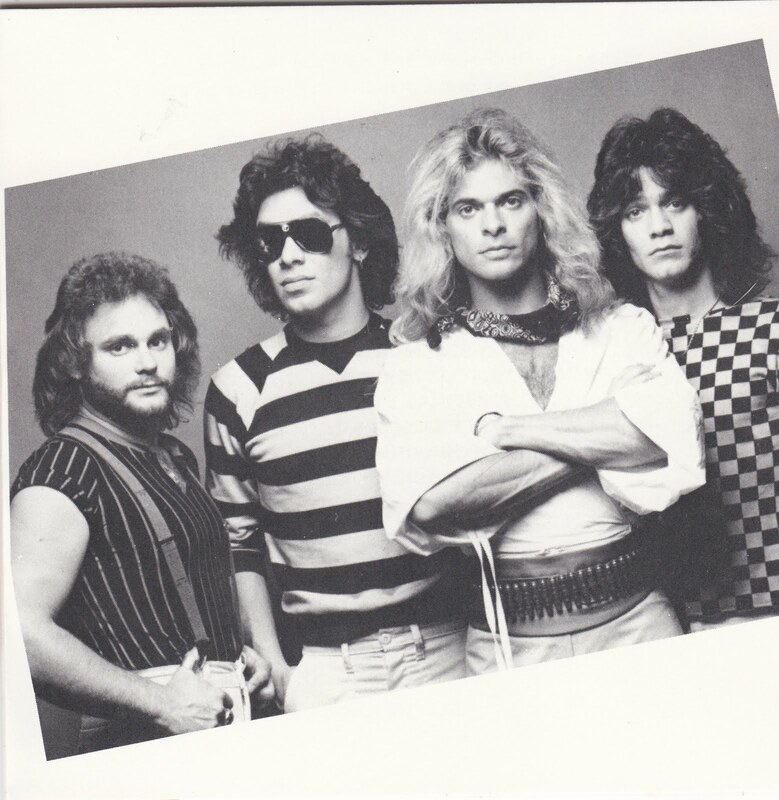 This month “Dave & Dave Unchained – A Van Halen Podcast” celebrates the 35th anniversary of “Diver Down” and the Daves have a discussion about their love for the 1982 classic album. Additionally, there’s an exclusive interview with guitarist Dweezil Zappa who talks about his multiple connections to Eddie Van Halen and his love for the band. Plus, a boatload of VH news for all fans of The Mighty! 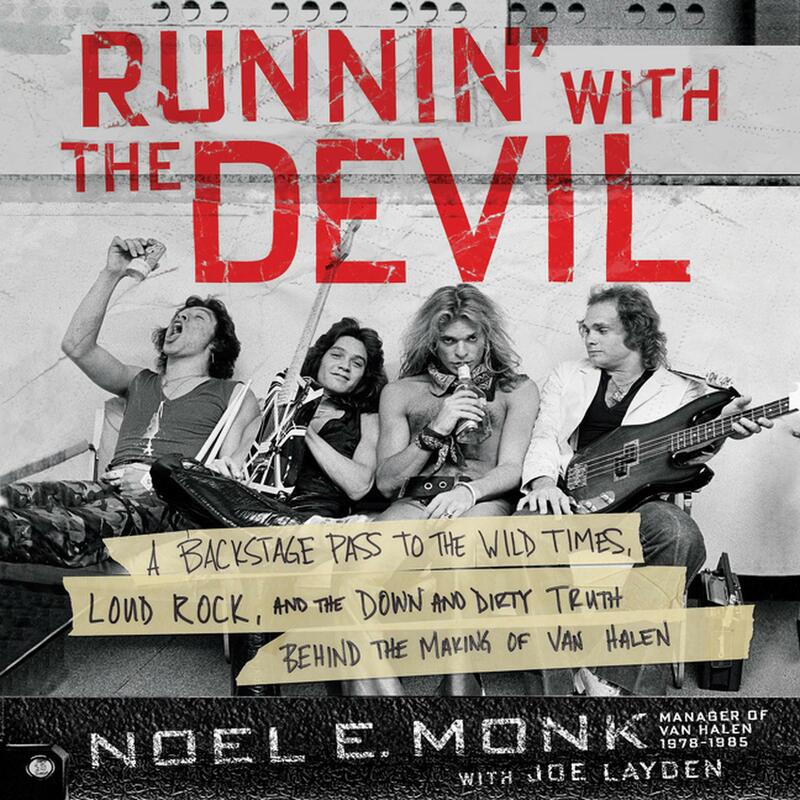 This month “Dave & Dave Unchained – A Van Halen Podcast” conducts an exclusive interview with ex-Van Halen manager (1978-1985) Noel E. Monk about his new book, “Runnin’ with the Devil: A Backstage Pass to the Wild Times, Loud Rock, and the Down and Dirty Truth Behind the Making of Van Halen.” Additionally, the Daves do a full detailed analysis and review of Monk’s book. Plus, there’s some VH news thrown in for good measure. I have to admit, I was geeking out on this one! This is a fun podcast that I look forward to listening too every time a new one is posted. Recommend for sure. Dave: Additionally, the Daves do a full detailed analysis and review of Monk’s book. Plus, there’s some VH news thrown in for good measure. I’ve listened to #15 all the way up to the point above. Wondering if it is wise to continue, as I probably won’t get to reading the book for a while. Anyone listen all the way thru yet? ron: I’ve listened to #15 all the way up to the point above.Wondering if it is wise to continue, as I probably won’t get to reading the book for a while.Anyone listen all the way thru yet? I have. We do issue a spoiler alert at the beginning of our review, so if you still like the element of surprise when reading, I’d wait. EPISODE #16 (Summer Bonus No. 1) Behold the Roth Army! The Daves hold a global forum with U.S. and European representatives of the legendary organization that supports everything David Lee Roth. SIT DOWN, WALDO! EPISODE #17 – David Lee Roth’s former bassist Billy Sheehan (Mr. Big, the Winery Dogs) speaks to the Daves in a very candid interview about his years with DLR, his bizarre exit, the near “Eat’ em & Smile” reunion and how he almost ended up in Van Halen, plus his work with Mr. Big and the Winery Dogs. Additionally, the dynamic duo discusses the 1987 Sammy Hagar solo album, “I Never Said Goodbye,” in honor of its 30th anniversary. EPISODE #18 (Summer Bonus No. 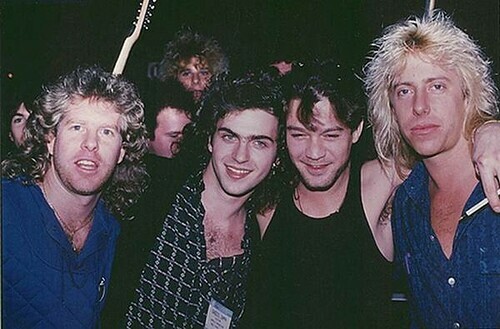 2) – Guitarist Rocket Ritchotte worked with David Lee Roth on and off all throughout the ‘90s. In this episode, the Daves go behind the scenes in the DLR camp with Rocket who opens up about life on the road with Diamond Dave. EPISODE #17 – David Lee Roth’s former bassist Billy Sheehan (Mr. Big, the Winery Dogs) speaks to the Daves in a very candid interview about his years with DLR, his bizarre exit, the near “Eat’ em & Smile” reunion and how he almost ended up in Van Halen, plus his work with Mr. Big and the Winery Dogs. I’m in the middle of this interview, and – wow – this is a good one.